I am just a human who believes in love in this world; forever joking and infamously sarcastic. 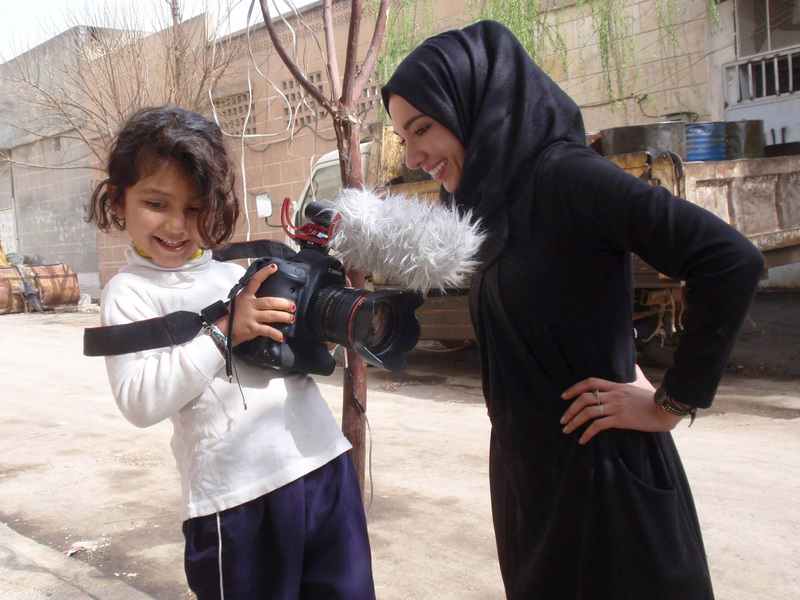 Professionally; I am an independent producer & journalist covering Syria mainly & humanitarian issues in our world. I am human interest focused with my story telling. I work in humanitarian assistance too; primarily with assisting victims of sexual violence. I also paint between trips on work and have a small online shop with the profits helping those in need from Syria. My blog is just for me to share personal experiences and feelings, nothing is reflection of companies I work with or am published with, everything here is just personal. I am a big believer in spreading peace & love in our world, helping one another in the world regardless of race, religion or any barriers throughout the world. Help one another where we can, judge no-one upon race or religion, live in honesty always, live with self-respect; respect your body, your soul, your heart. I live appreciating each & every second in this world & never forgetting the beauty around us always, while also never forgetting the darkness in this world. I get to travel the world and have incredible life changing experiences every day. I believe we can all make a difference in this world, each and every little action can cause a ripple affect to bigger action. Be that change in our world. Stand up for humanity, stand up for our world to make it a cleaner, safer, more loving place. To find out more about my work, please visit my website.